These bamboo sheets are the most comfortable and soft bed linen you may have ever experienced. Woven with a silky, super-fine yarn, our fabric is ultra-smooth, soft and naturally breathable. Feel how luxurious they are. The silky smooth texture will make you feel like you are sleeping on a cloud and you may never want to get out of bed. If you want a good night sleep and enjoy luxury, then get them! They are generous in size with deep sides and would fit a large mattress perfectly. Available in a range of colours to complement your room and style. Machine wash cold, tumble dry low using natural detergents like the Laundress Signature Detergent. Easy to care, view laundry guide. If you aren't happy with your linenly products, we're happy to offer you free exchanges or replacements within 30 days of your purchase. Our 100% bamboo sheets will transform your idea of a good night’s rest. 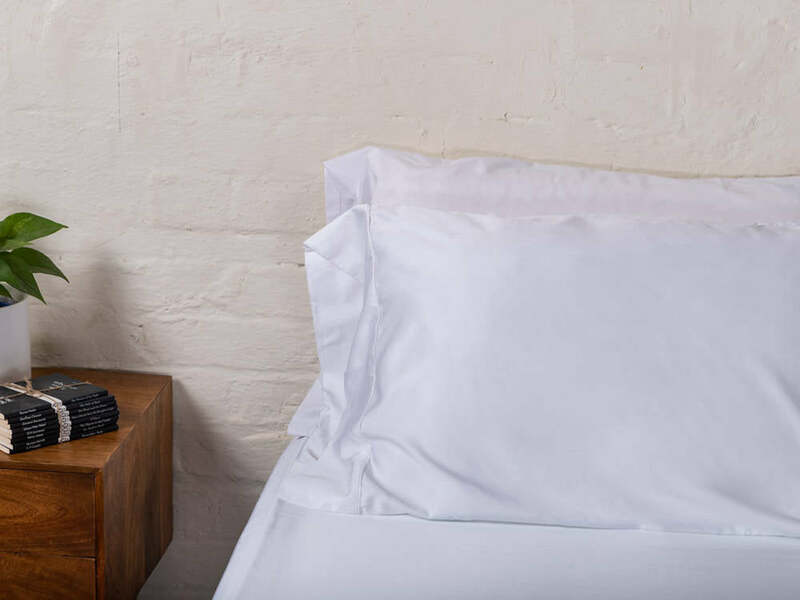 With bamboo-infusion technology, you’ll enjoy sheets that are naturally odour-resistant and temperature responsive. Are your products organic and free from harmful chemicals? We are proud to say that all of our products are made from 100% organic bamboo fibre which is produced without any toxins or harmful substances. 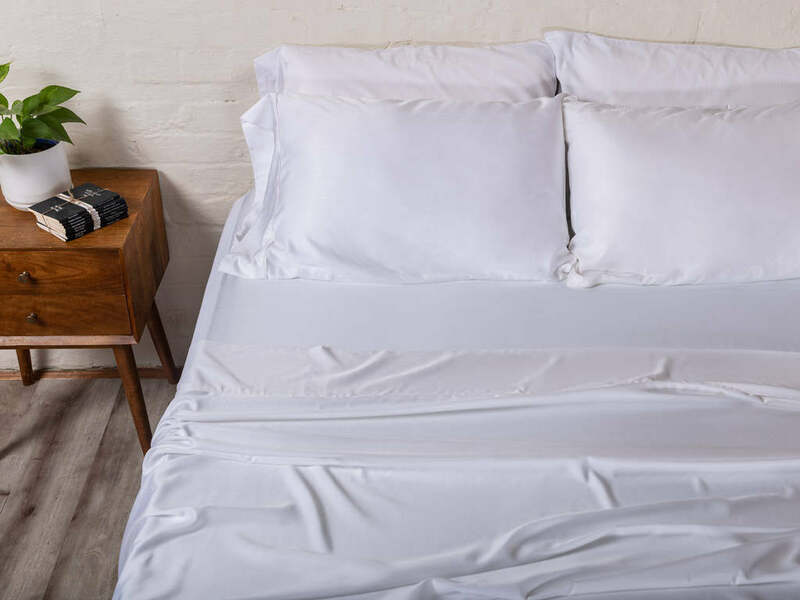 All of our bamboo sheets boast an Oeko-Tex certification, which ensures they are manufactured in accordance with organic guidelines and standards. Do your organic bamboo sheets shrink? 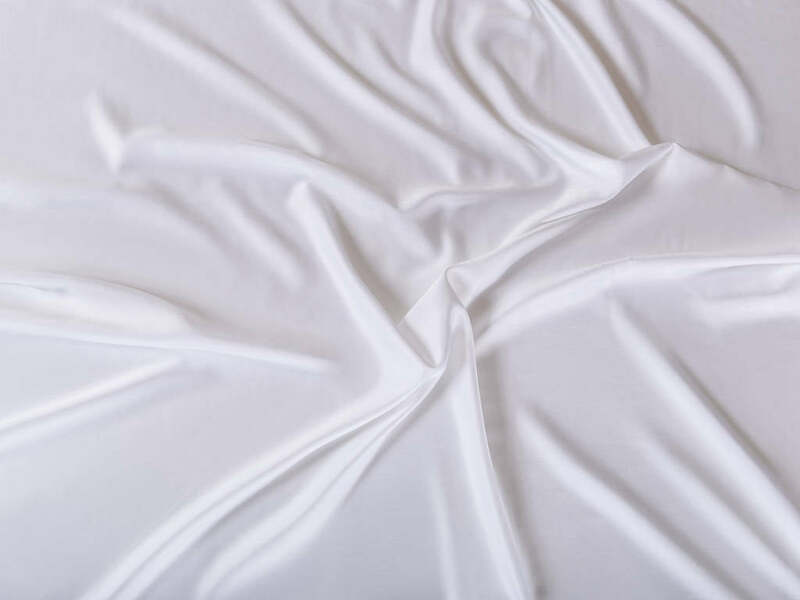 Our bamboo sheets have been pre-washed and pre-shrunk during the manufacturing process. 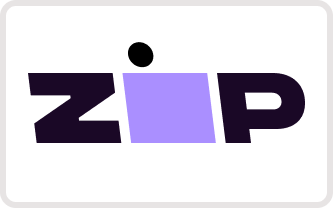 Each set is shipped with specific washing instructions that when followed correctly will help prevent any future shrinkage. Our Bamboo fitted sheets fit mattresses up to 40 cm in depth.